With our KNX Power supplies, KNX Input gateway, binary input devices and modular actuator system, we provide a full range of products based on KNX for optimizing a building automation system. 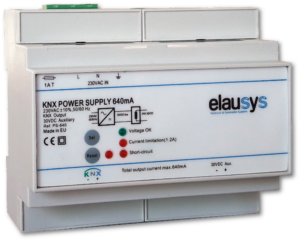 Robust and cost effective KNX Power supplies with integrated choke to supply the KNX line, an additional 30VDC output is available to supply extra loads, a short-circuit and surges protections and a reset circuit. 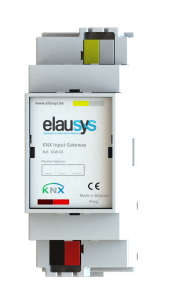 Inputs modules provides a flexible and cost effective solution to integrate push buttons, switches and sensors into a KNX automation system by using the KNX Input gateway. 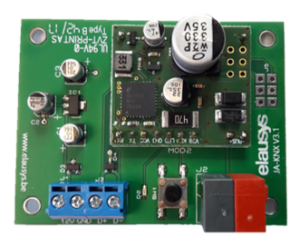 Binary inputs modules are available in 1 to 8 channels and have an built-in temperature sensor. The modular actuator system enables to extend your output modules as needed, a cost and space effective solution ! Extensions modules are available for switching, dimming or shutter control with different size and power. Gateways and interfaces are used to connect any product or system to KNX. 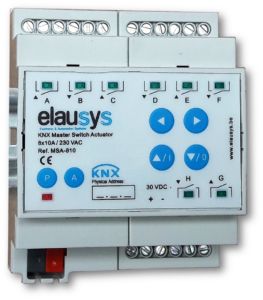 Elausys develops and provides its own range of interfaces and is also able to design an OEM KNX interface to be integrated in your products.